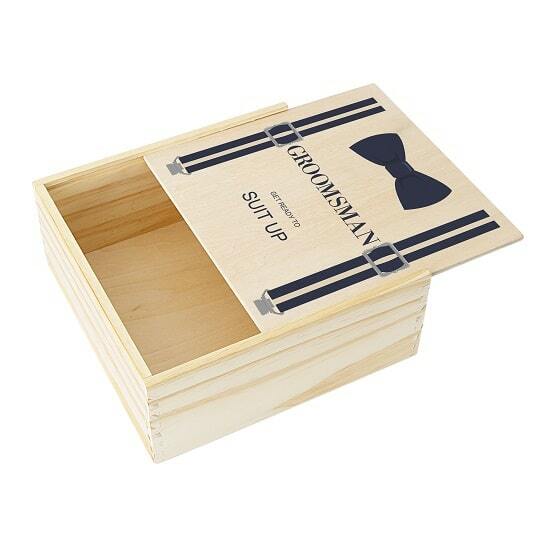 These unique bow tie and suspenders wooden gift boxes are the perfect start to a DIY gift! 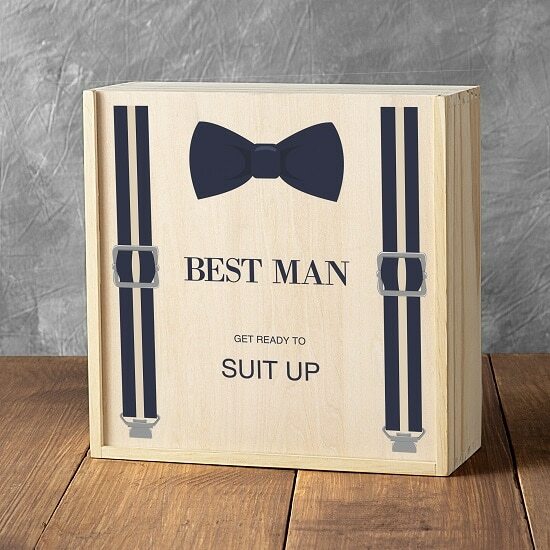 This box comes empty so you can fill with some of your best man and groomsman’s favorite things. 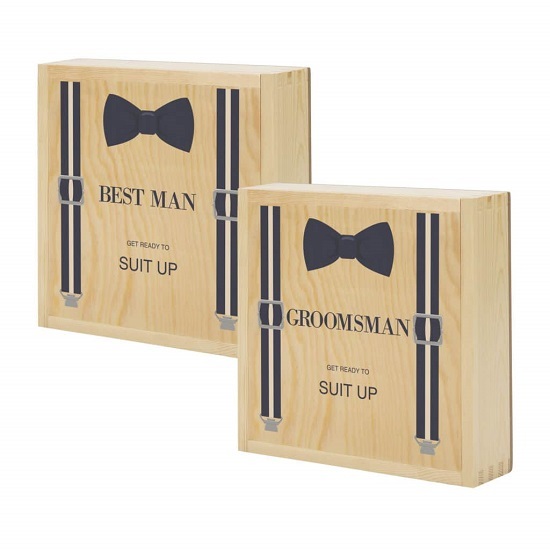 Present your groomsmen gifts in a container as snazzy as the men in your wedding party with our Best Man and Groomsman Wooden Gift Boxes. 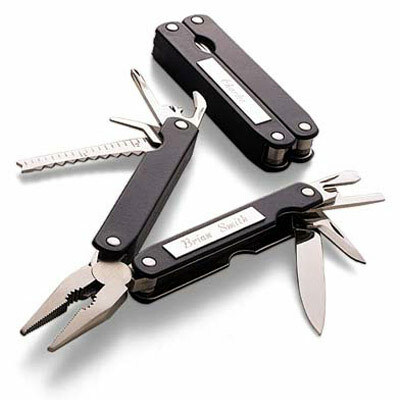 Featuring a handy sliding lid, this box can reveal anything from a bottle of whiskey to a wallet or a pocket knife. Constructed from pine wood, these are sturdy and serve as a great keepsake for the recipients. 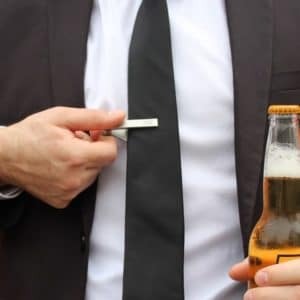 The suspender and bowtie design stands out as well; your wedding photographer will definitely want to get a shot of these! 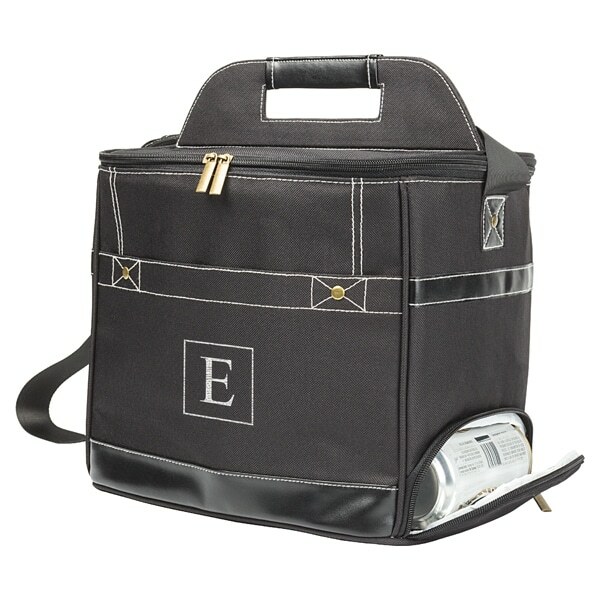 Complete your gifts with this ultimate addition, and make your wedding festivities extra special. 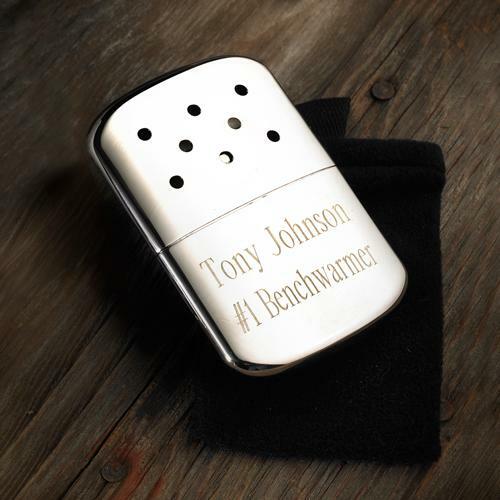 Available with best man or groomsman design.